Okay, deep breath. In side-project, and even solo fashion, Pollard has been known to add titles, lyrics, and melodies to songs that have been either partial composed, or fully written by others (see Cosmos Jar Of Jam Ton Of Bricks, Go Back Snowball's Calling Zero, Todd Tobias produced Pollard solo LPs, and many other side-projects). 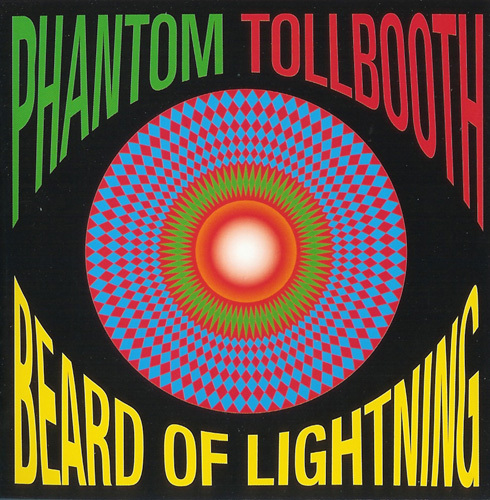 For this 2003 LP Phantom Tollbooth, Pollard added vocals, titles and melodies as usual, albeit, to a record originally released 15 years prior. 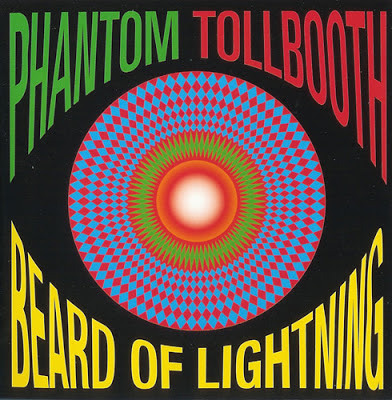 The ORIGINAL Phantom Tollbooth, hailed from New York City, and released several records on '80s indie powerhouse, and Gerard Cosloy (future Matador Records) run label, Homestead Records. Reportedly, Pollard was an avid fan of the band's swan song LP, Power Toy, and asked the past members if he could add his vocal take on their 1988 LP. The group agreed, and the Phantom Tollbooth LP is both a reunion (without anyone reuniting), and collaborative side-project at the same time. A new, old, but new, but fairly old, but quite new take on a prickly, college rock, post-punk record from Pollard, and three guys who hadn't recorded this to tape for an adolescents' life-time. Mascara Snakes- 4 Originally titled "Extinction Plus." A wholly Mission of Burma-esque, jittery, and slightly psych track instrument wise. Pollard adds well placed vocals over it, making it... confusing. I like this song. Does Pollard make it better? Should it matter? Oh christ. Atom Bomb Professor- 3 Originally titled "Criticize the Critters." A 6 minute affair that's half Volcano Suns/half-Big Boys. Does Pollard enhance this? Not really. Parts are weakly delivered, however, his spoken word verses are on point. Oh Christ, I don't know. It's a rad, '80 art-damaged song nonetheless. Urgent, and schizophrenic. Asleep Under Control- 4 Originally titled (brilliantly) "Billie Holliday's Nightmare," Pollard delivers a wonderfully, double-tracked vocal melody over this mathy, spastic start-stopper. Music-wise, the song is equal parts metal, jazz, and funk with breezy, interludes. Pollard's parts shine here. Iceland Continuations- 3 Originally titled "Paper House." Yup. The impending final hour at the biker rally, effigy burning ceremony. CHRIST! That's the Pollard vocal effect over this. Pollard does spoken word style type over the syncopated drum stomp and brittle guitar drawl before breaking into a wild closing. A Good Looking Death- 4 Originally titled "Barracuda." Acoustic guitar propelled track with blips and feedback transmissions. Great vocal melody over this from Pollard. Short and sweet. The Cafe Interior- 4 Originally titled "Why I See Why." A start stop, tightly coiled funk, jangled-indie art school foray into the world of jam band, and punk. Pollard's vocals do little in this fascinating, razor's edge track. Capricorn's Paycheck- 3 Originally titled "Down By The Gowanus." NY indeed. A more contained, Mission of Burma sounding track. Pollard's vocals hover about somewhat aimlessly and occasionally out-of-tune. Gratification To Concrete [Different Version]- 3 Okay, ready to dissect this title wise? The original Phantom Tollbooth title was "Over the Pipes." In 2008, Pollard released a track with the same on his solo LP Robert Pollard Is Off To Business. It is NOT the same song, but this is a short, terse one for sure. Tightly wound, with some spot on Pollard drop-ins, and howls. Crocodile To The Crown- 3 8 minutes plus. Equal parts Pink Floyd, Honor Role, and Minutemen, this over-long track is taxing for sure in a sense. Pollard holds his own popping in warbled, and urgent. Janus Pan- 2 Bass carried opening with stabbing angular guitar riffs and feedback. Somewhat metal-tinged throughout, and far too bipolar. Pollard's vocals are underwhelming on this post-punk hootenanny. Work Like Bullies- 3 Under 2 minute, cerebral riff propelled, mathy jaunt breaks into psych-esque feedback freakout to the end. Pollard's vocals echo longingly somewhere before the final clip-off.